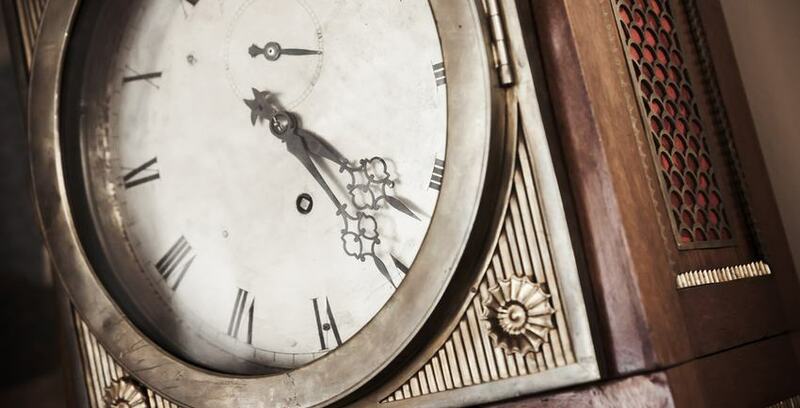 If you have a grandfather clock in your home, you have firsthand experience with how incredible, beautiful, and - in many cases - fragile they can be. You can't ship a grandfather clock unless it's properly dismantled, which means that you can't move it from one home to another without the help of movers with specialty experience and the knowledge of how to disassemble it properly. First things first: put on a pair of white dust gloves. The interior workings of a grandfather cloth are very delicate, so you're going to want to make sure you're ready to do things safely before you begin. Next, open the front glass door. You're going to remove the weights now. They'll be hooked onto pulleys inside the casing. You can unhook them from there and then wrap them gently in either a thick pad of tissue paper or bubble wrap. The next thing you will want to remove from the clock is any interior shelving that could potentially fall or shift during transit and cause damage to the glass. After that is a big step: safely removing, wrapping, and storing the pendulum. The pendulum is one of the most important parts of your grandfather clock's inner working, so handle it with special care. You can remove it by holding the center and lifting it very gently upwards off of the suspension string. Once it's out, wrap the guide in tissue paper and then the whole piece, once more, in layers of secure bubble wrap. Once these specific interior items have been removed and properly wrapped, we recommend seeing if there are any exterior decorative pieces that can also be removed and packaged for easier moving. If there are things that could be damaged but can't be removed, be sure to give them the extra wrapping and padding they need. The last step is the large body of the clock itself. You'll want to wrap it in a furniture blanket. They're sturdier and provide more support than regular blankets to give your grandfather clock the protection it needs. Wrap the clock and blanket with packing tape to keep everything in place. That is all you will need to know to properly disassemble your grandfather clock. The last thing we recommend is getting help from a professional mover when transporting a grandfather clock. If you insist on moving it yourself, keep it standing upright. If you lay it on it's side, there will be pressure put on the clock's glass that can cause the glass to break. No matter what you decide to do, there’s always a place for your clock with Storage Direct.